January is a time to focus on your new year, new you resolutions. While many of us focus on bringing our vision boards to life – whether it be implementing a new workout regimen or focusing on clean, healthy eating – we also take time to reflect on our accomplishments to date and focus on our professional goals for the year ahead. In the spirit of a better you, January is National Mentoring Month. 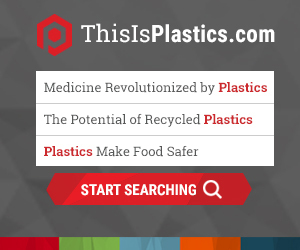 In the world of plastics, a field where we are committed to attracting and recruiting the best and brightest in STEM – and, really, all fields that plastics require, like sales, marketing and communications – young, rising professionals can benefit from the knowledge of seasoned plastics professionals. It’s an industry that can be complicated, yet innovative, and mentors and mentees stand to learn something from each other in today’s multi-generational workforce. PLASTICS has implemented the second iteration of its Mentorship Program, hosted by the Future Leaders in Plastics (FLiP) Committee. Professionals under 40 are invited to develop leadership skills, sharpen communications skills, foster lasting friendships and more by becoming a mentee. Experienced plastics professionals are invited to share industry knowledge, develop networks and learn from the perspective of the next generation. The primary goal is to allow mentors and mentees to learn from each other. Form mentorship relationships organically with a leader or young professional with whom you already have similar, vested goals and professional chemistry. Establish check-ins – such as lunch meetings or scheduled meetings – to have discussions with your mentor or mentee. Set goals. What are you hoping to learn? What do you bring to the table? Hold yourself accountable. Be sure to hold yourself to the commitment of checking in and learning from your mentor or mentee. If you are interested in participating in PLASTICS next group of mentors and mentees, please email Elle Brumley, ebrumley@plasticsindustry.org. This program lasts six months, though hopefully connections last longer. On average, the time commitment is about 10 hours over six months, but you can customize the experience to best suit your needs.